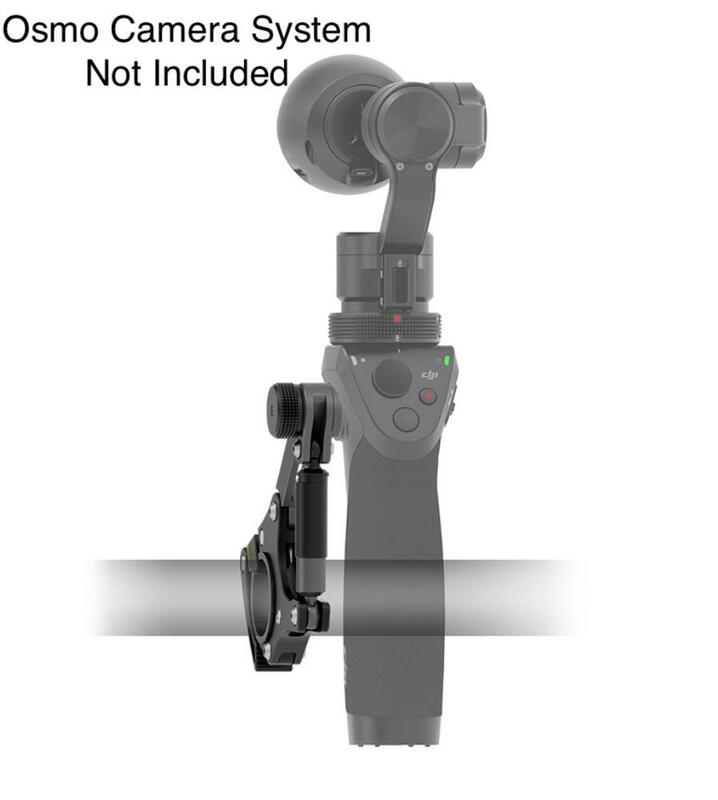 The DJI Osmo Bike Mount is a mount accessory for Osmo handheld gimbals. It attaches to the Osmo's handle at the rosette. It is not used instead of the normal handle but in addition to it. 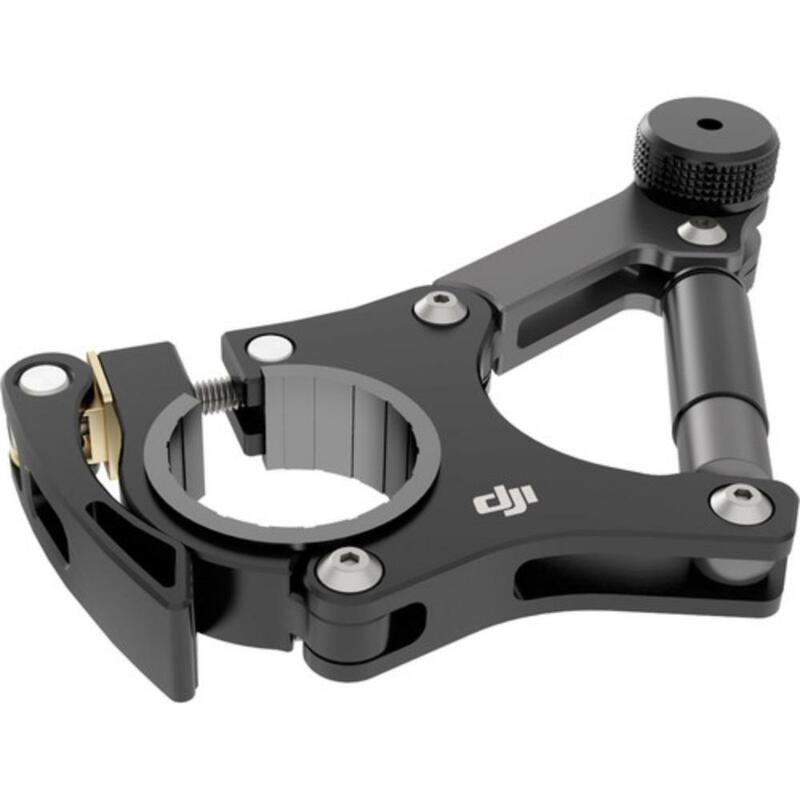 It features a secure clamp that attaches to almost all handle types and is designed specifically for attaching to bikes. • This mount attaches to the Osmo's handle at the rosette. It is not used instead of the normal handle but in addition to it.